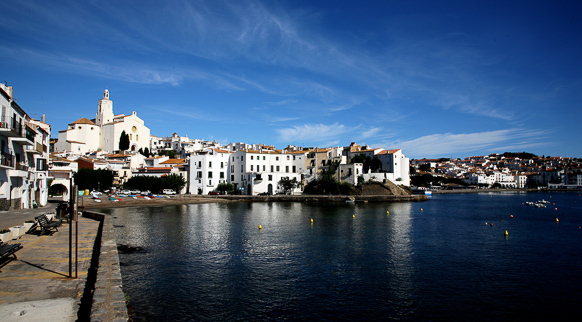 Cadaqués still preserves the charm of a small fishing town, set in the peaceful landscape of the Cap de Creus Natural Park. We recommend following in the footsteps of some well-known figures who fell in love with this town, such as Federico García Lorca, Luis Buñuel, Paul Éluard, Max Ernst and, above all, Salvador Dalí. At Portlligat beach you can visit the painter’s private residence and workshop, now the Salvador Dalí House-Museum, which contains some of his furniture and personal items. The town’s Mediterranean character is even more striking in the old quarter with its labyrinth of cobbled streets, white façades and floral adornments, and of course in its charming beaches and coves, which are great for enjoying a pleasant few hours, an unforgettable day... or however long you can spare!